Join POOL for a night of food and film to celebrate the sales launch of our 2nd issue "Rules" (printing June 2017)! All sales of tamales, sangria, and beer, as well as your pre-sale purchase of POOL, will help us publish Issue #2! 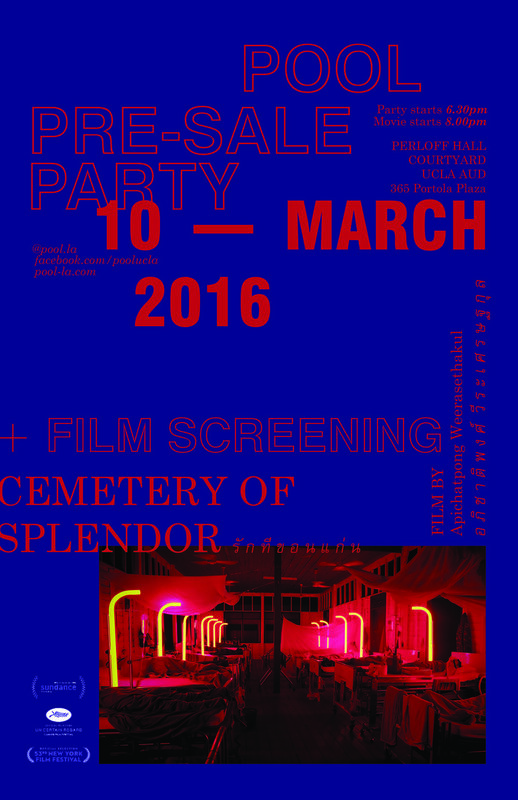 We will begin screening Apichatpong Weerasethakul's "Cemetery of Splendor" at 8pm. Sign up in Studio for our Bean-Bag-Toss/Corn-Hole tournament, starting at 6:45pm. Enter in teams of 2 ($5 each) to win an AUD hoodie, copies of POOL, or a case of beer.